Prosperity shops will take over the Lazada Philippines website, where customers could avail of Lucky 88 and Lucky 888 deals. P88 items include Casio Beside Men's Silver Stainless Steel Strap Watch, Diva Designs Swarovski Crystal Heart Studs, while items like the Oli Casual Mstyle Low Cut Sneakers, Nankai-02 20000mAh Power Bank with free Mini Power Bank Mini Foldable Monopod will be sold for only P888. 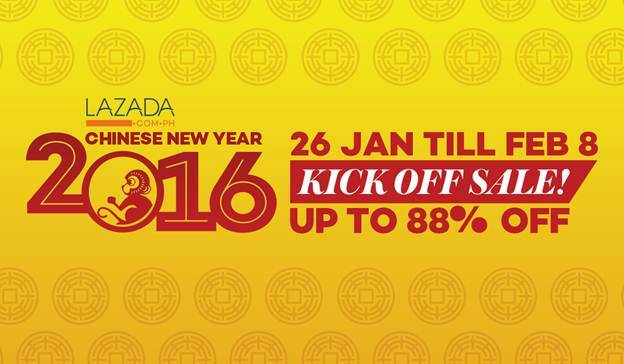 Start the year right by enjoying huge discounts of up to 88% off from the leading online shopping destination in the country. 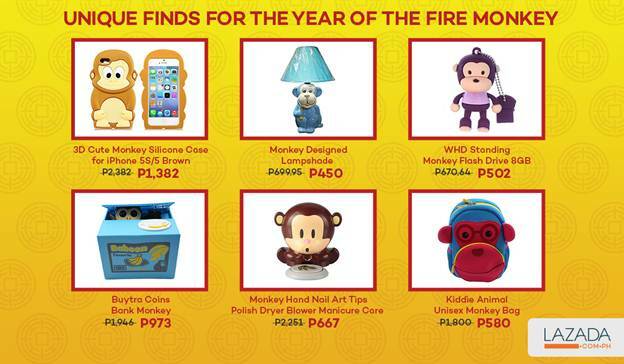 Lazada’s Chinese New Year Sale is just the beginning of a year filled with lucky breaks on a wide assortment of products with the best prices. Shop now through desktop or smartphone app.